The office in our house has slowly over the past three years of blogging became my little blogging central and I love it - I spend the majority of my time day in day out in this little room and to be honest it isn't the prettiest room so when I was contacted about a blogger 'desk redesign' challenge opportunity, I obviously said yes. I have wanted to have a little office makeover for a while but I haven't got round to it but Rooms 4 Interiors set a challenge for me to redesign my desk with just £20. The desks of the bloggers taking part will be part of a competition in which one will be voted the best by the public. For my desk redesign, I didn't want to do anything major, firstly because of the price limit and secondly because it would take ages. I have always loved Matalans home ware so when I saw a couple of cute items, I made an order and it arrived SO quickly. 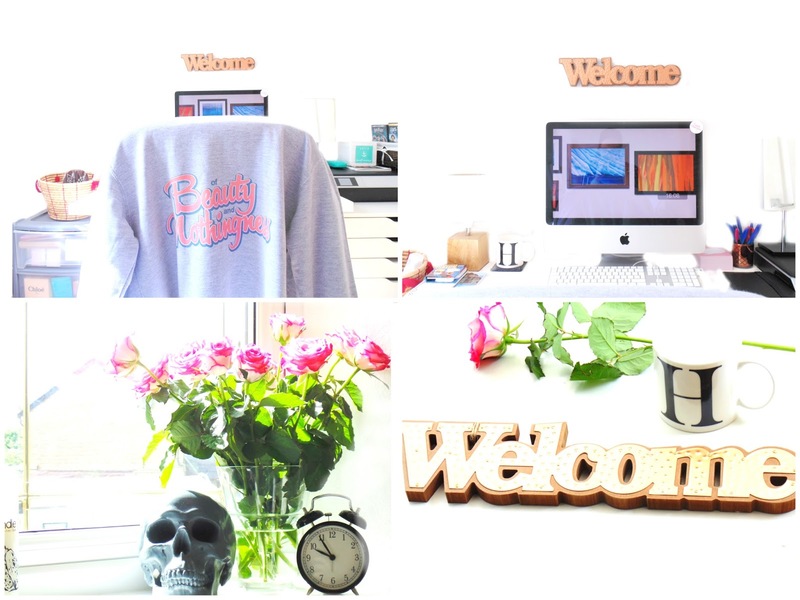 I bought the Matalan Welcome Sign (£5) which is gorgeous and I love it; it fits perfectly above my iMac - I can't believe the price, it is so cheap! I also bought a Matalan Alphabet Letter Mug (£2), again the price is fantastic and I had to restrain myself from buying ALL of the mugs. I will be going back to buy more of their copper items, especially the simple copper photo frame and three tier hanging sign for the office too. 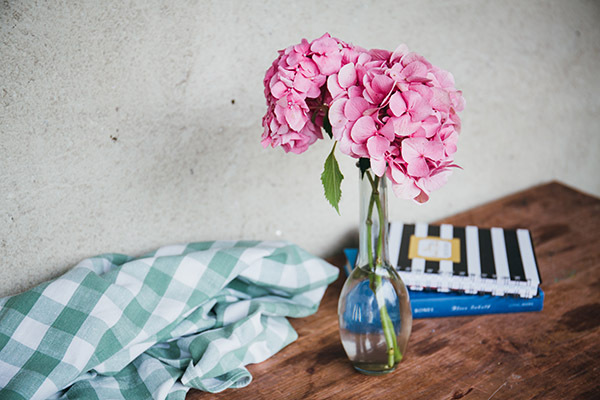 Flowers always make a room so much more inviting, summery and colourful so I bought some gorgeous pink roses to brightening up my desk. They have such a uplifting effect on my mood whenever I see or smell them. Lastly, I bought a small copper candle holder from H&M which I can't find on the website but I'm using it as a pen holder; it fits well with the copper tones of the sign too. There are so many products I want from H&M home, it is a little ridiculous! 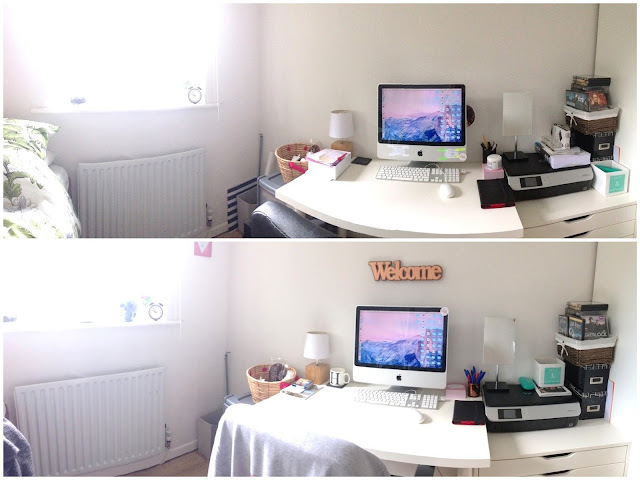 Here is the before and after, I also rearranged a lot of items as it was a little cluttered and I always think better and I'm more productive when the space around me is tidy and organised. I had a grey skull money box and a cute plaque from Sass and Belle in my room which I moved to the office as it was a little too minimal in the office. I find that refreshing and reorganising your surroundings and switching up items (even on my iMac, not just the room) is so revitalising and renewing, I love it! Sorry the photo quality isn't amazing for these two last before and after photos but I used the pano setting on my iPhone 5C. 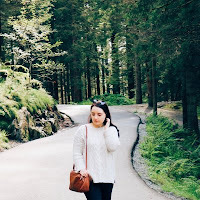 Oh and I also added in my blog hoodie from College Custom to this room as it has my blog logo on the back which is just amazing and it seems fitting for 'blogging central' to have it's own personalised products! What do you think of my mini desk makeover? I had no idea that Matalan did so many amazing home bits, definitely need to check those out. Your little blogging sanctuary looks perfect, lady. 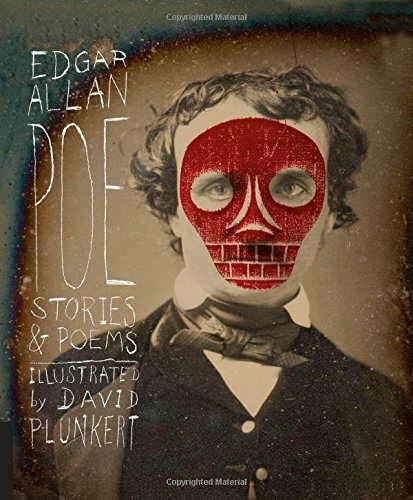 Love the skull too. What a nice workspace and I really need to freshen mine up and might look into adding some bits and bobs. That welcome design is adorable. I need something like that for my foyer.